Let’s not underestimate the power of the devil. He is very much alive and leads us into temptation. We make the choice to do right or wrong, but he is still behind it. God’s power will always trump Satan’s, but we still must be on guard, and remain steadfast to God’s word. I love this Doodles…and so TRUE! Yes! 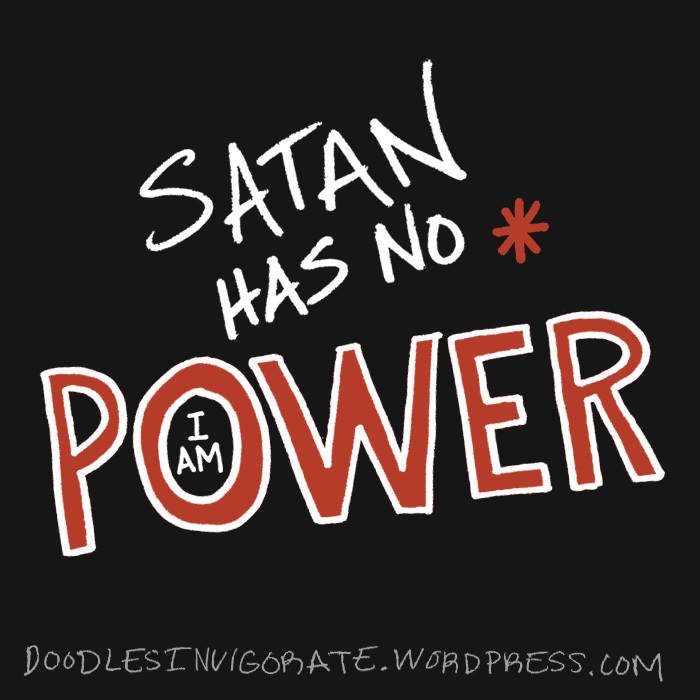 Sometimes it’s hard to find the balance between acknowledging Satan is there and giving him too much power. I don’t mind at all. You are welcome to share any image. Thank you! Nice post. Thank you for reading my post, I appreciate.